Choosing the best refrigerator is difficult these days. There are different brands to choose from, different features to look, new models unveiled every year, all these things makes it very difficult to decide which refrigerator to buy. Don’t worry. This refrigerator buying guide will help you to choose the right fridge for your house. Refrigerator is one of the most important equipment during the summer that helps you to keep eatable things fresh for days. It is a perennial need of every household and almost 80% of houses have refrigerators. “Refrigerators are the second biggest savior in summers after AC”. This one very sentence highlights how important refrigerators are to you in the summers. Especially in today’s households where everyone goes to work, it helps a lot by keeping the vegetables and food items fresh in addition to providing the chilling water. Why Refrigerator is a must have home appliance? If you have faced the summers in places like Rajasthan, UP, Bihar, then I am sure you already know the intensity of scorching summers over these places. That is why, Refrigerators have become an integral part of your kitchen because it helps you in a number of ways to beat the heat. It helps you to store your food and saves it from being rotten. It helps you in keeping the vegetables fresh. But more importantly, you can have chilled water which is a must desirable thing for everyone in the summers. The refrigerators also help you to keep your drinks in a cool state and if you love to have beer and wine, then you must have refrigerators at your home. How to Choose a Right Fridge/Refrigerator? This is probably the most important thing that you need to keep in mind. In India, you get to buy things for your family, so you need to keep family first”. The first thing that you shall check is the size of your family. If the number of members in your family is low, then a small fridge might do the job for you. While for big families, you need to go for bigger one. You also must have a look if your family members come to home late and you need to store food in the fridge as well. If this is the case, then the capacity of your refrigerator should fulfill the family needs. The second critical aspect to check is the room space that you have. Don’t purchase a too big refrigerator if it can’t fit well within the space. A refrigerator also needs to have a breathing space of few inches to provide the best performance. Also, check that you have enough space to open and close the refrigerator doors easily. There many different types of door fridges are available such as french door, side by side, counter depth etc. Check which door type refrigerator would suit in you kitchen space. “When you buy a refrigerator, buy the one that perfectly fits your space”. Check whether the refrigerator has enough storage capacity or not. If you want to store more, you must buy refrigerator with higher capacity so as to avoid any kind of problem. When you get to buy the refrigerator, the sales person will help you with the storage capacity. In case, you buy online, you can go to description, check the storage capacity and buy one which fits your bill. Check for Energy rating (EER), it gets updated annually. The more energy rating a refrigerator has, less power it would consume. This is another key factor that one needs to have a look at before you buy the refrigerators for your home. You must have a look at the top most brands that are doing the rounds in the market before you pick the right one. 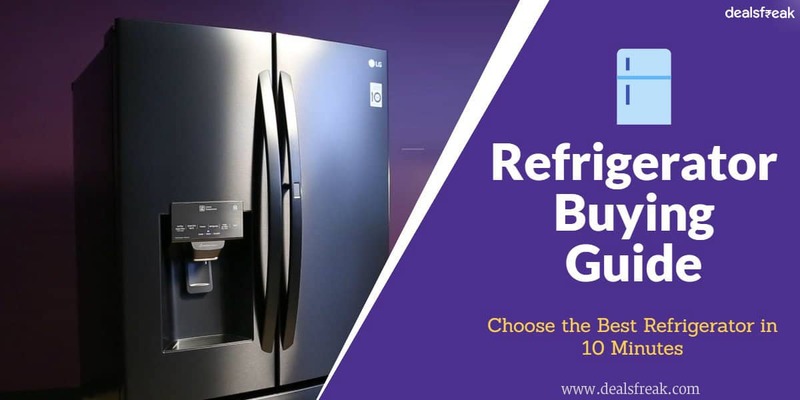 There are many top brands in India that are ruling the refrigerator market with players such as LG, Whirlpool, Godrej, Panasonic, Siemens and Haier providing you with variety of refrigerators. You can make a check on the internet about these brands and have a look at customer reviews as well to make sure that you get to buy the best one for your home. You shall also look to buy refrigerator from the brands that have reasonable number of service outlets in your city. It will help you to get easy servicing when there is any problem with refrigerator without creating too much of problem for yourself. In most of the cases, budget is the ultimate factor that plays its part when you are willing to buy refrigerators or other appliances. There are different price ranges that are available for you best on the kind of budget that you have. The price range of the refrigerator starts from 10K and it goes to as high as 100k depending on the kind of refrigerator that you are willing to buy. You must analyze the budget that you have and then look for the refrigerators in the market. If your budget is around 15k, then you can easily get double door refrigerators from some of the brands. Highly energy efficient. It can save up to 30% energy over the double door refrigerators. Comes in very small and compact sizes. Well suited when you have lesser space in the kitchen. Cost friendly, Under Rs. 20,000 you can find great refrigerators. Occupy very small space of floor thus ideal for modular kitchens. It works with direct cooling technology which is highly efficient in saving energy. You need to open the main door in order to open the freezer. Small shelves, you can’t fit bigger bottles. Can easily accommodate the needs of 4-5 people. Bigger Shelves, it is easier to keep bigger bottles inside the refrigerator. Energy efficiency is low compared to single door refrigerators. Costly, you need to spend some good money to have one. Occupy large space,you have to make room to have double door fridge. Three doors, makes it easy to get things. You can easily place the most commonly used items on the front shelf. The doors can be opened easily without much swing. You can have both water and ice without opening the door. Freezer is easier to reach. The first thing with these refrigerators is that you need plumbing where the refrigerator is placed. It can save some valuable space which is quite often a problem in apartments. Easy access to the refrigerator’s part which is generally used more than the freezer part. It also comes up with temperature setting option which can be handy. Since you store heavy items in freezer, you need to bend more to get them which may cause inconvenience. Compressor is the heart and soul of any refrigerator and one needs to know about them before buying refrigerators. Compressor is probably the most important of the refrigerator and any problem with it may result in inapt cooling. So, you need to be very careful about the compressor before you get to buy the refrigerators. The pressure lift is quite constant and thus you cannot run them at varied temperatures with that much ease. Centrifugal compressor is not highly efficient. Centrifugal compressors are not lousy and noisy and are thus best suited for domestic needs. These compressors are very compact and thus ideal for small refrigerators. Screw compressor may not run as fast but are equally effective. With screw compressors though, things are smarter and you can have better temperature control. Screw compressors are more efficient than the centrifugal ones. With the screw compressors though, things are little different. They can be very loud and thus not that much suited for domestic usage. Screw compressors are not that compact and thus may not be too apt for domestic refrigerators. This is another important thing one needs to know before you get to buy the refrigerator. Some of the compressors make use of rotating impellers for the generation of the air pressure some others make use of positive displacement. While you get to buy the refrigerator, you must check upon the power of the compressor. The better the rating of the compressor is, the better your refrigerator is. In these refrigerators, cooling is done either by air convection. They are highly economical with a starting range of Rs. 10,000. They consume lesser amount of energy and thus are ideal for you when you are looking to save some bucks. Ice cleaning is needed to be done manually in these refrigerators. This cooling technology is applicable with only the single door refrigerators. They are good for small families having two or three members only. The cooling is done by the cooling fans in these refrigerators. They are costly when compared to the direct cooling refrigerators. This cooling technology is applicable with a variety of refrigerators including double door ones, Triple door ones as well as the side by side refrigerators. You need not to clean the ice manually as it is cleaned by itself. Ideal for families having a high number of members. They are best at keeping your vegetables and food items in a fresh state. The BEE star rating of refrigerator is critical because it helps you to know how much money you will save. Another very important factor that everyone needs to have a check upon is the BEE star rating of the refrigerator. The refrigerators with high star rating may be a little expensive than the ones having low rating. But when you look at the overall impact, you will get to save so much money down the years in the form of energy bill when you go for the five star rated products. The BEE star rating of multi door refrigerators is always low when compared to the single door because the single door makes use of direct cooling technology. Another very important thing is that the top brands stress very much on the BEE star rating and you will be easily able to find a 5 star rated refrigerator of any top brand when you are going to buy one in the market. Look, analyze and buy, if you are willing to buy a refrigerator, you must follow the above routine. When you are going to buy any refrigerator, you tend to work on a number of factors. You don’t only tend to look at the positive aspects of the refrigerator but also at the flip side of the things. You want to get assured about the overall impact that your refrigerator is going to make and work according to that only. You must make sure that the refrigerator is convenient to use. You must look at the additional features that the refrigerator is going to serve you. 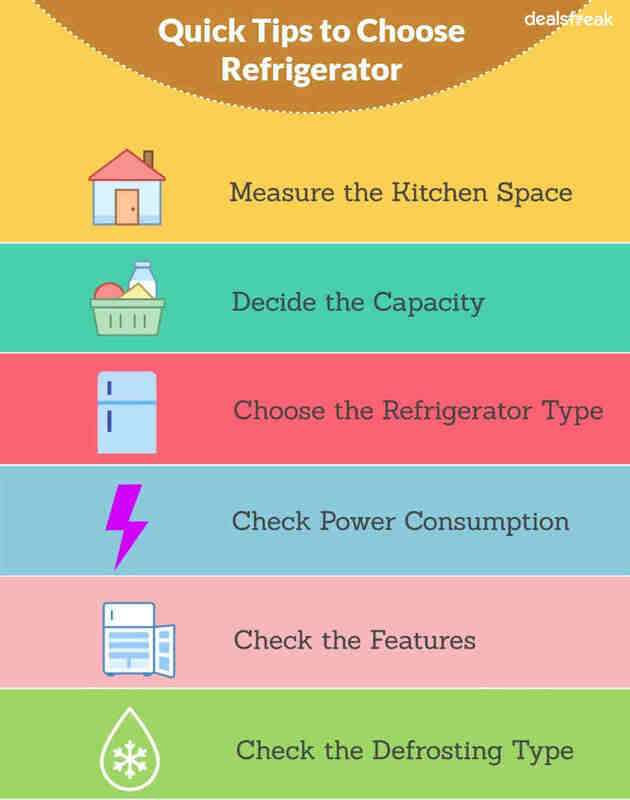 You must check upon the energy efficiency of the refrigerators. The first thing that you shall look for is that whether the refrigerator is overpriced. Some of the shops try to sell you refrigerators at higher costs by telling you about some of the additional features which may not be there in the first place. The second thing that you need to have a look at is if the refrigerator is convenient to use, whether it will provide you with energy efficiency. If you want to buy something, buy it online. Shop when you want to shop, this is the thing with the online shopping that attracts a huge chunk of audience on the online shopping websites. You have the luxury to shop for your refrigerator at your leisure and do not need to make out time for buying the refrigerators. All the online portals are open round the clock and thus you have the luxury to shop for your favorite stuffs even at midnight. With the offline shops though, you do not have this kind of luxury and thus you people tend to avoid them. 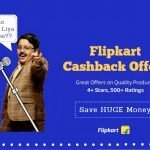 This is the second thing with the online shops as you have number of varieties of refrigerators available from top brands. No matter what you want to buy, there is everything in store for you in the online market. Whatever you want, everything is available here is different colors, sizes to make shopping a fun for you. With the online shops, you have the luxury to pay how you like to pay. This is another reason why you people tend to buy the refrigerators from the online portals only. You can make the payment using your credit card, debit card, pay on delivery as per your convenience. You also have the EMI option with the online portals which is making them more popular than ever. If you don’t like, get it replaced from your home and get refund directly in your bank account. Another thing that excites everyone about the online shops is that replacement is very easy. They pick up the refrigerators from your home so that you do not have any inconvenience in the same. The biggest reason why you all tend to buy online is because of the amazing discounts and offers available there. 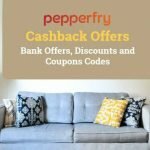 There are sale offers on New Year, Diwali, Eid, Navratras and many other festivities to help you get your refrigerator at very affordable prices. Buying a refrigerator is not an easy job as there are a number of factors that are needed to be analyzed before you arrive at any decision. You just need to spend a little bit of time analyzing your needs and then studying about the same on the internet. Never arrive at your decision, always arrive to a conclusion wisely. After going through an analysis, you will know what you need to buy and from where you will get it at the best prices. It’s always smart to wait for the festivals before buying refrigerators as you may also get some additional discount to make your purchase smarter. You must also check for features such as warranty and service support as your refrigerator will be your companion for years and thus you need smart support.